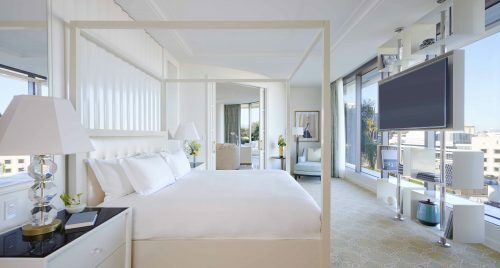 These king bed suites provide you with more than enough space to work and to play. 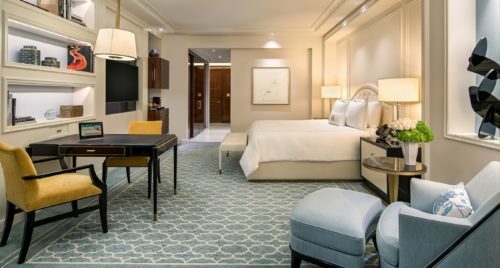 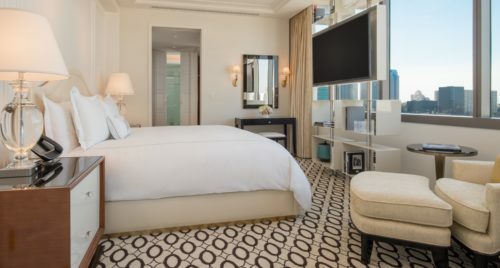 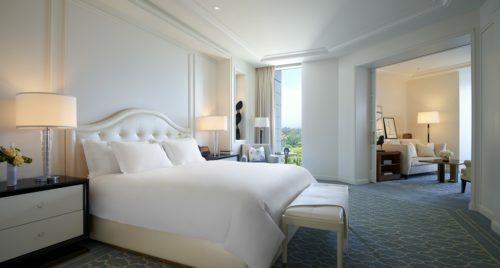 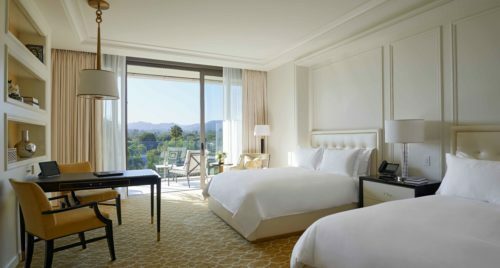 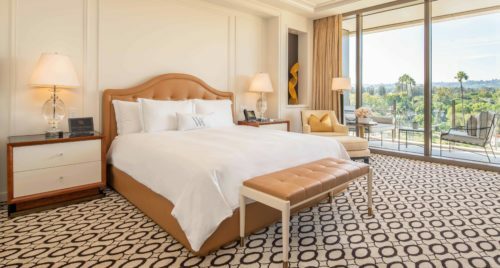 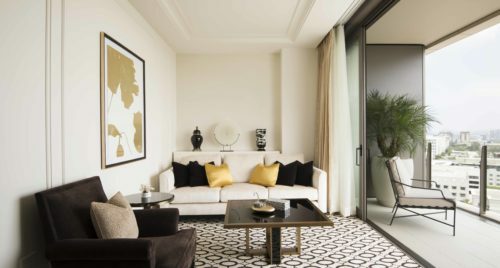 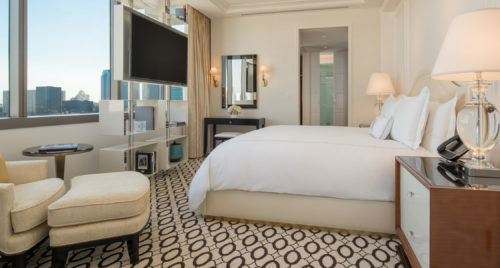 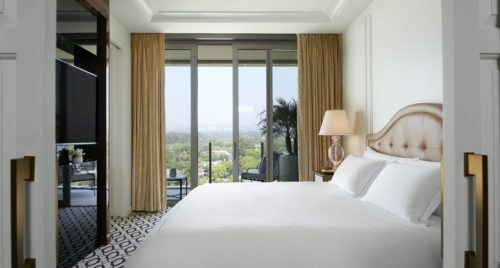 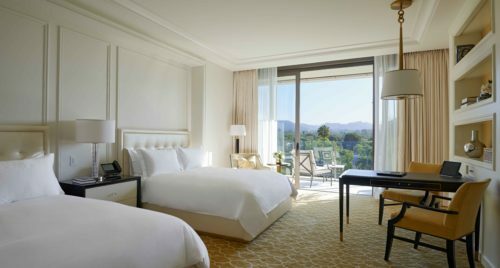 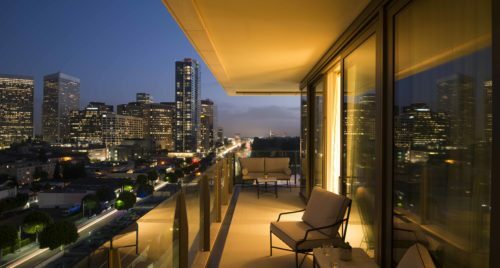 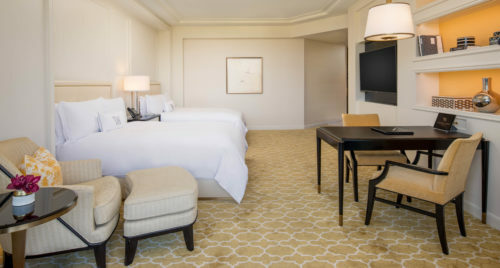 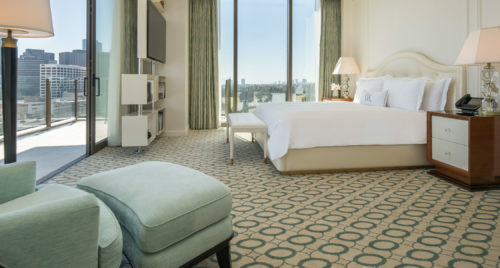 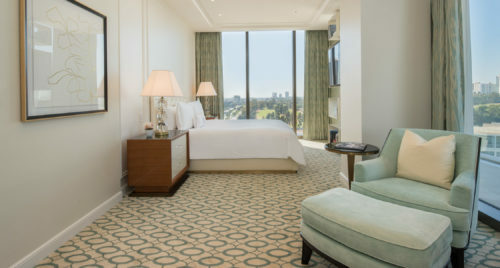 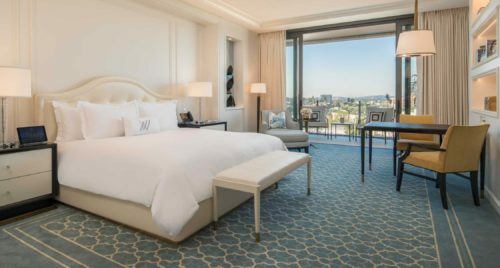 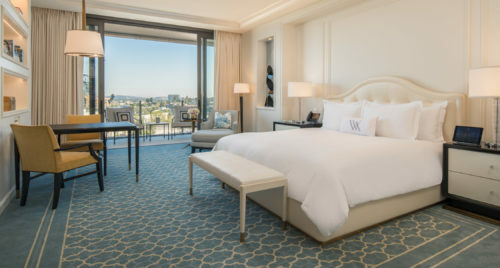 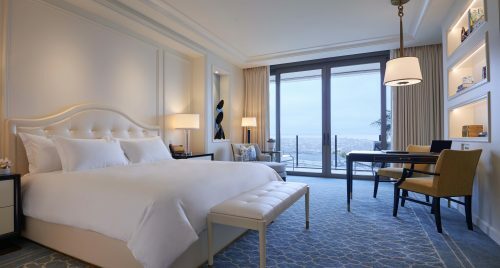 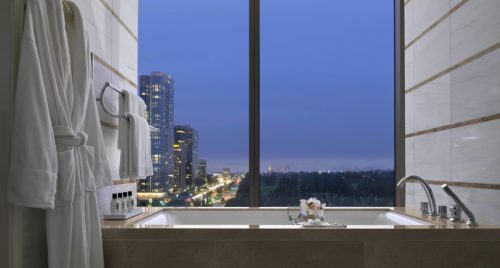 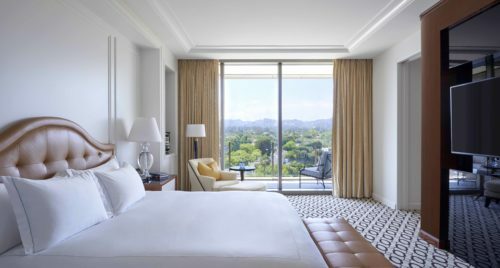 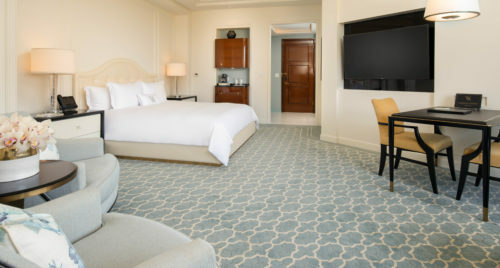 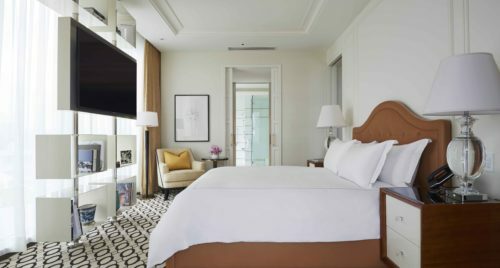 You’ll find this suite on the third floor with unobstructed views of sprawling cityscapes and stunning sunsets through enormous panoramic windows. 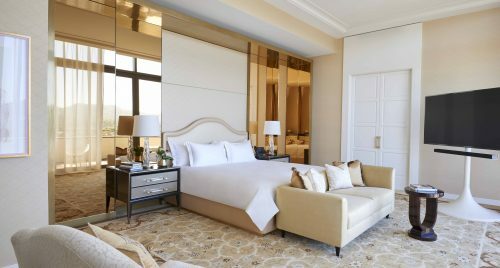 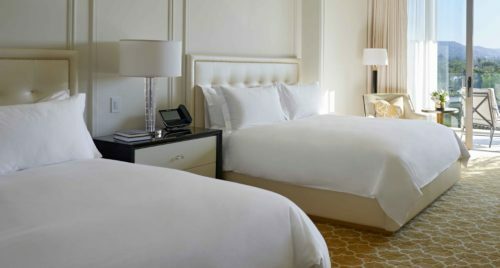 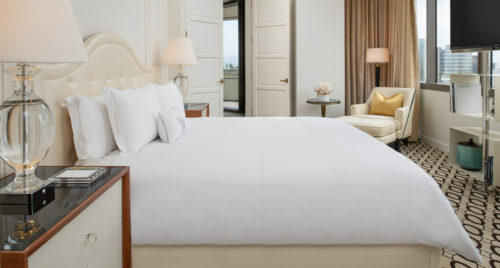 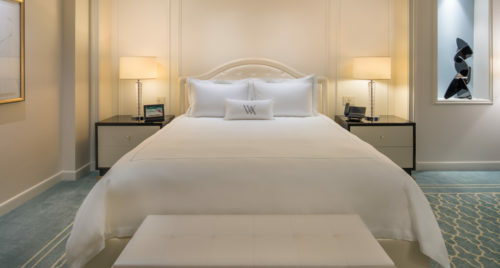 Every suite features a grand Italian marble entryway, a king bed, a separate living room, and walk-in-closets with enough room to store outfits for every occasion. 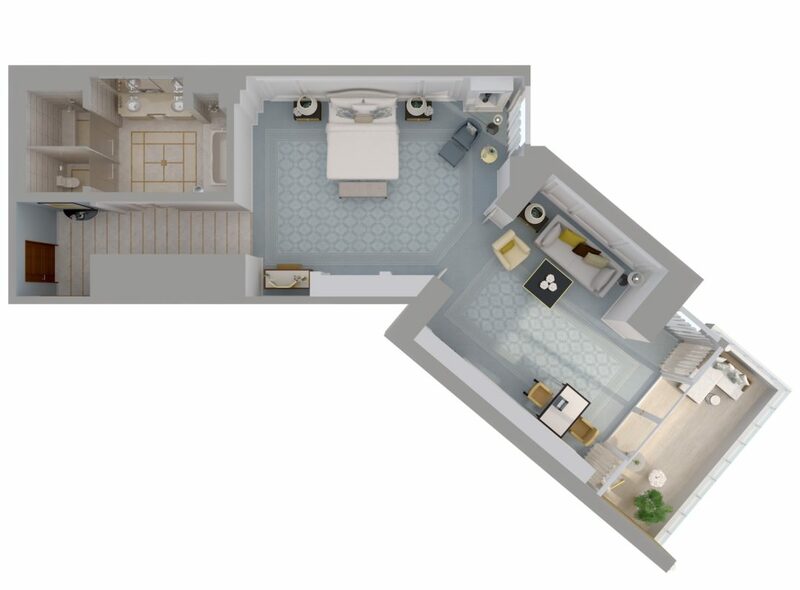 This suite is hearing impaired accessible, containing additional features for those who are deaf or hard of hearing. 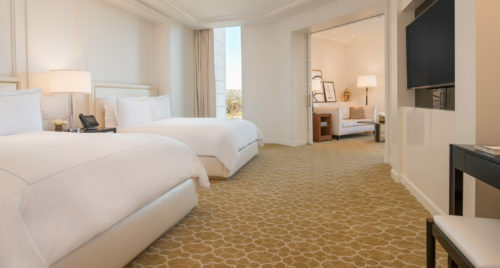 The corresponding photo may not reflect the specific accessible room type or room feature.